Of all the ways to brew coffee, the espresso method is the most demanding and most dependant on the skill of the brewer or the Barista. A Barista is the person that operated the espresso machine. In most other brewing methods the grind of the coffee, the temperature of the water and the length of time the water stays in contact with the ground coffee is automated. However when making an espresso drink the brewer plays a vital role. There are 7 steps to producing any espresso drink. It’s important to follow these steps to ensure you get a quality coffee for the customer. An espresso is produces when seven grams of coffee are placed in a portafilter and brewed to produce one ounce of coffee. This entire process takes no longer than twenty five seconds (the desired time the water stays in contact with the coffee). The perfect Espresso should be dark with a reddish-brown layer of fine creamy foam on, called a crema, which covers it top. When the cup is swirled the crema should slightly coat the sides of the cup but remain intact over the top of the espresso. A number of coffee drinks are given the label of being the Classic Italian Espresso Drinks. The Italians have very specific ideas on how their beloved drinks should be prepared when and how often they should be drunk and who should drink them. When in doubt go for the espresso! 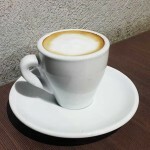 The classic espresso drinks include the Cappuccino and the Espresso Macchiato. 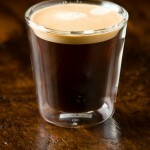 Like all classic drinks the espresso has evolved to satisfy the needs of the modern coffee drinker. 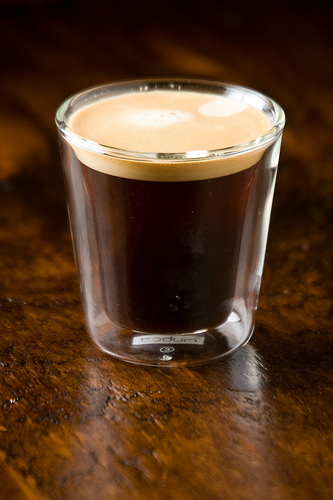 These drinks still use the base of the single or double espresso but take on an additional twist. The new espresso drinks include the Americano, Cafe Latté, Cafe Mocha and many more when you add in the variety of flavoured syrups available in most coffee shops.